A Utah man has been ordered to stand trial in the death of his infant son last year. SALT LAKE CITY (AP) � A Utah man has been ordered to stand trial in the death of his infant son last year. Authorities say 22-year-old Matthew Daniel Graves is charged with aggravated murder and a possible capital offense after he allegedly punched the 1-month-old boy repeatedly in the head. The Deseret News reports that prosecutors have a 60-day window to decide whether they'll seek the death penalty in the case. Police responded to a Roy home on a report of an infant not breathing on September 7. Doctors determined the baby had significant brain trauma, skull fractures plus separated vertebrae in the head and neck. Police say Graves admitted that he had gotten angry because the infant was crying. They also reported finding drugs in Graves' car and home. OGDEN — A Roy man accused of killing a 41-day-old child will go to trial next year. Matthew Daniel Graves, 23, pleaded not guilty in May to all three charges against him, including aggravated murder, a first-degree felony; causing or permitting a child to be exposed to a controlled substance, a third-degree felony; and use or possession of drug paraphernalia, a class A misdemeanor. Graves was present in Ogden’s 2nd District Court on Monday morning and appeared with his attorney, Michael Bouwhuis. In the brief hearing, Bouwhuis and prosecutors determined Graves will go to trial in mid-May 2019. Graves will have a pretrial hearing and a status conference leading up to the jury trial. They will take place in September and February, respectively. The February court date will be the last opportunity for Graves to accept a plea deal if he so chooses. Prosecutors did not mention the possibility of pursuing the death penalty against Graves during the Monday hearing. In a May 1 hearing, Deputy Weber County Attorney Letitia Toombs said that Graves woke up to the sound of his alarm and the baby crying around 6:30 a.m. Sept. 7, 2017, prompting him to punch the baby then put a pacifier in the child’s mouth in the effort to quiet the baby. Later that morning, Graves dropped off a 5-year-old living in the house to daycare and brought the infant along for the ride. After dropping off the 5-year-old, Graves noticed that the infant wasn’t breathing, and Graves called his grandmother for advice, Toombs said. It was then that he called 911. The child was first taken to Ogden Regional Medical Center and later flown to Primary Children’s Hospital in Salt Lake City. The infant was pronounced dead shortly after. Investigators ruled the child’s death as a homicide, and Graves was charged with murder the following day. Graves is being held without bail at the Weber County Jail. OGDEN — A Roy man accused of punching and killing an infant in 2017 has pleaded guilty to avoid a potential death sentence. Matthew Daniel Graves, 24, pleaded guilty in January to one count of aggravated murder, a first-degree felony. In return, prosecutors dropped a misdemeanor drug charge and a felony charge of allowing a child to be exposed to a controlled substance. For his guilty plea, prosecutors also agreed not to pursue the death penalty or give Graves a life sentence, according to Graves' plea agreement. Prosecutors recommended that Graves be sentenced to 25 years to life in prison, however that decision will be made by a judge during Graves' sentencing hearing. Graves was arrested shortly after police were notified that a 1-month-old child was not breathing. The child was taken to Ogden Regional Medical Center then quickly taken via helicopter to Primary Children's Hospital in Salt Lake City. Doctors found the child had suffered a number of non-accidental injuries and they told police the child had "profound brain trauma" and hemorrhaging. In a May 1, 2018 hearing, Deputy Weber County Attorney Letitia Toombs said that Graves woke up to the sound of his alarm and the baby crying around 6:30 a.m. Sept. 7, 2017, prompting him to punch the baby then put a pacifier in the child’s mouth in the effort to quiet the baby. Police say when they interviewed Graves, he said he punched the baby repeatedly in the head because it was crying, according to charging documents. Graves allegedly told police that he "blacked out from rage" when he was hitting the child. “Matthew made comments that he is a monster, that he has lost all hope in life and is going to lose everything,” the affidavit said. 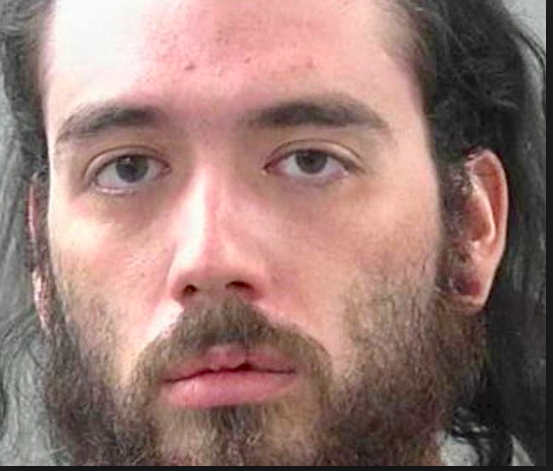 OGDEN, Utah, March 5, 2019 (Gephardt Daily) — A Roy man has been sentenced to 25-years-to-life in prison after pleading guilty to causing the death of his newborn son. Matthew Daniel Graves, 24, accepted a pleaded guilty in February, and on Tuesday, was sentenced for the September 2017 aggravated murder of his month-old son, Brayden. Graves admitted to punching the infant because Brayden’s crying made him angry. Graves pleaded guilty to aggravated murder, a first-degree felony. In exchange for his plea, two additional charges — endangerment of a child, a third-degree felony, and possession of drug paraphernalia in a drug-free zone, a class A misdemeanor — were dismissed. According to a probable cause statement, officers were dispatched at 7:41 a.m. on Sept. 7, 2017, to the residence on the report of an infant who was not breathing. The baby was transported to Ogden Regional Hospital, then flown by medical helicopter to Primary Children’s Hospital in Salt Lake City. “The doctors at Primary’s informed law enforcement that the infant had sustained severe non-accidental trauma to include huge fractures to the right side of the head, massive brain swelling and hemorrhage, fixed and dilated pupils, tremendous soft tissue damage, separation of the vertebrae in the neck and loss of oxygen to the brain,” the probable cause statement says. The baby died the next day, Roy City police confirmed. Interviewed on Sept. 8, 2017, at the hospital, Graves “admitted that he had gotten angry because the infant was crying and had punched him repeatedly in the head,” the statement says. Graves also admitted to drug use in the home where he was living with the infant and the baby’s 5-year-old sibling, who “described seeing multiple instances where Matthew would spank the infant and also described instances of domestic violence in the home,” the probable cause statement says. The statement also noted that officers found drug residue and a tinfoil pipe in the residence, and that Graves has a 2016 conviction for unlawful possession of a firearm.